I’m not really sure what the deal has been lately, but I have had no desire to be in the kitchen. Usually the kitchen is the place where I can breathe, the place where my surroundings are familiar; the place that I just KNOW. I have my favorite cutting board, my favorite knife, I know my way around without having to think too hard, I love what it feels like to create something cohesive from a bunch of moving parts. Plain and simple, I just enjoy it. But, for whatever reason, lately my kitchen has felt less like an old familiar friend, and more like an awkward first date. Apples, as of late, have really become such a staple in our household. My kids are constantly requesting “Papbles! Papbles Mommy! 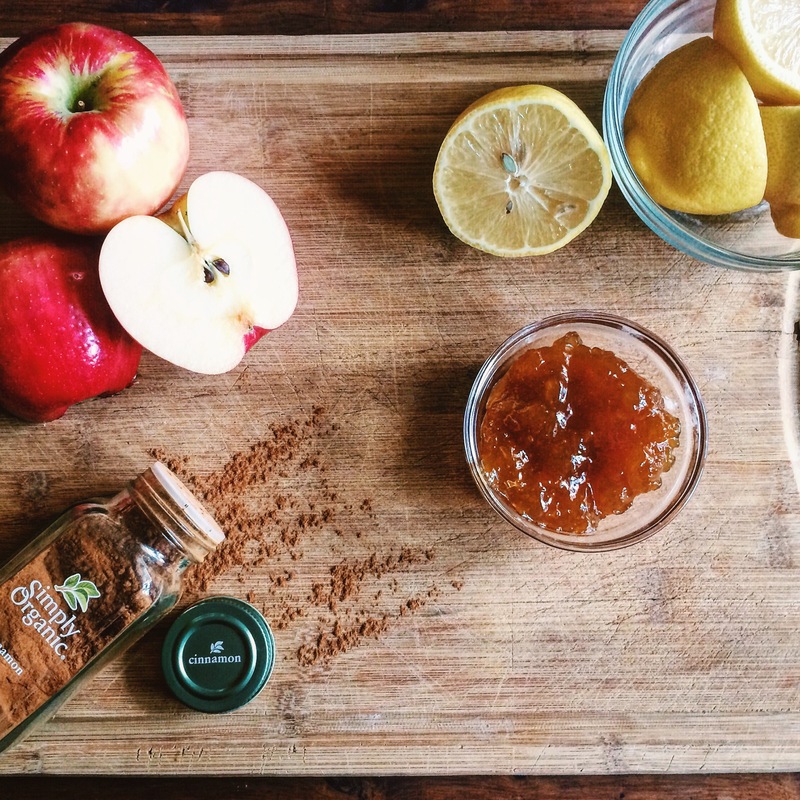 Papbles!” My husband and I can’t seem to get enough of the Honey Crisp kind..(have any of you guys tried them!? Ughhhhh amazing!) I kid you not, I feel like I am making trips to the market multiple times a week just to stock up. 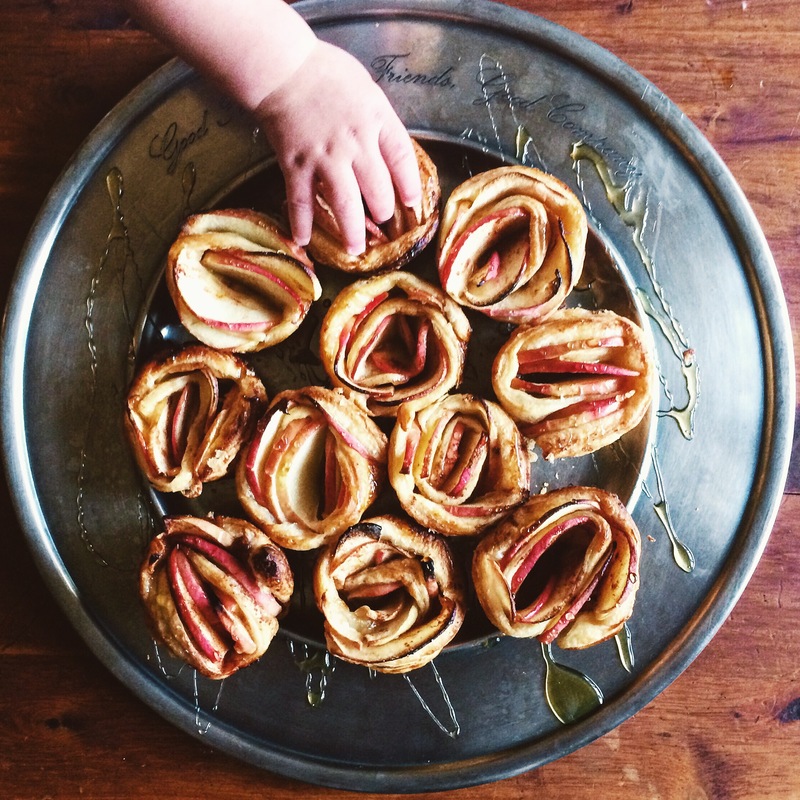 So today, with a little inspirational help from the people over at Tip Hero, I am putting our stock pile of apples to a slightly sweeter use with these (EASY) Cinnamon-Apple Apricot Popovers. 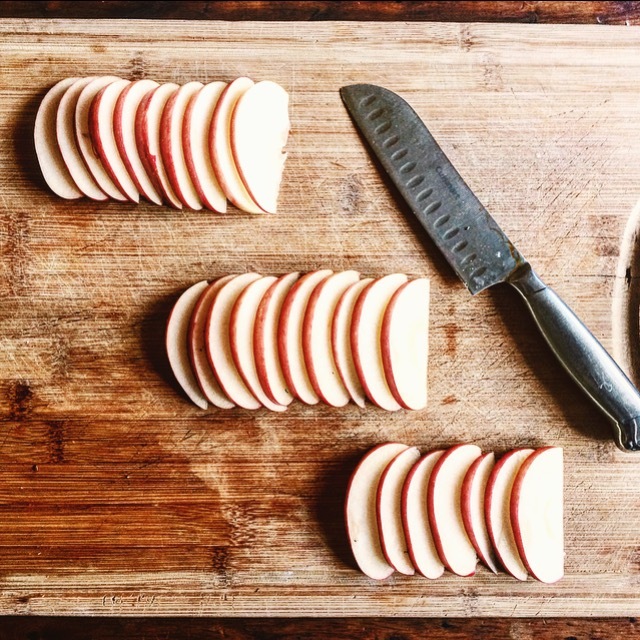 Begin by preheating your oven to 375*F. Remove the core from each of your apples and slice each apple as thinly as possible. 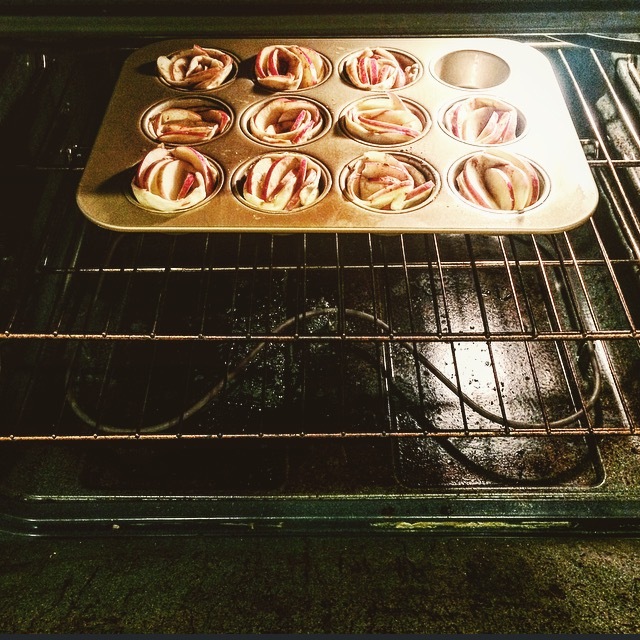 Next, place the sliced apples in a microwavable safe bowl and submerge them in water. Cut your lemon in 1/2, and add the juice of 1/2 lemon to the bowl of water. 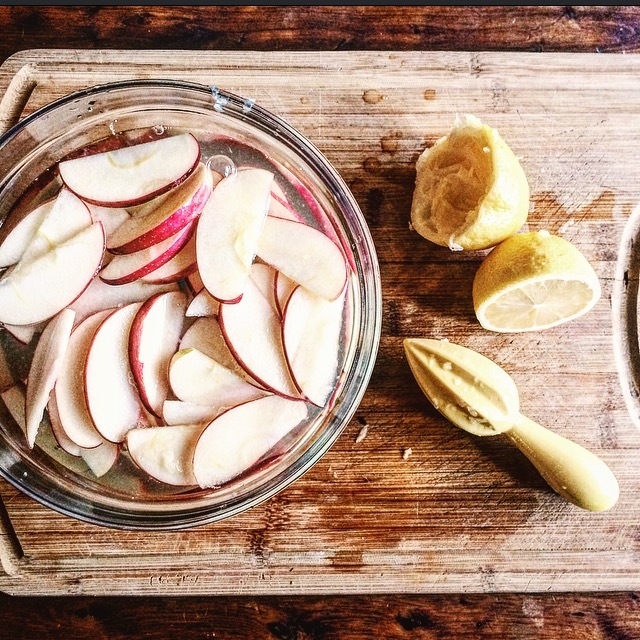 Microwave for 3 minutes, or until the apples are softened and set aside. 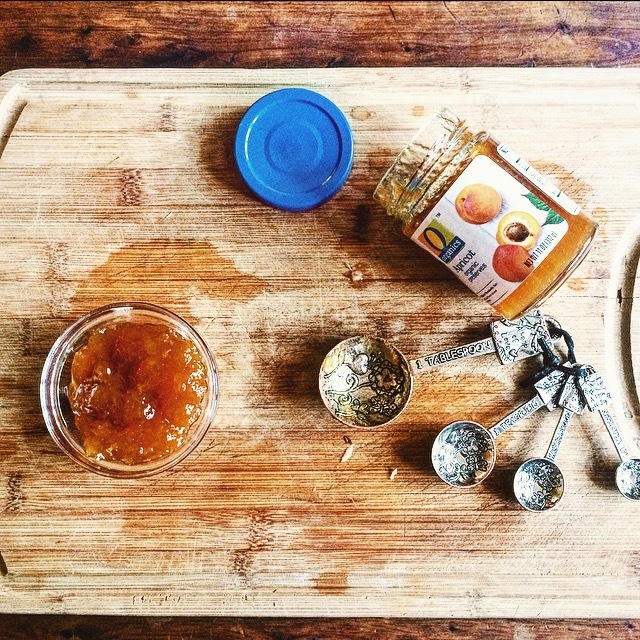 In a small bowl, mix 3 Tbsp of Apricot preserves and 2Tbsp of water and set aside. 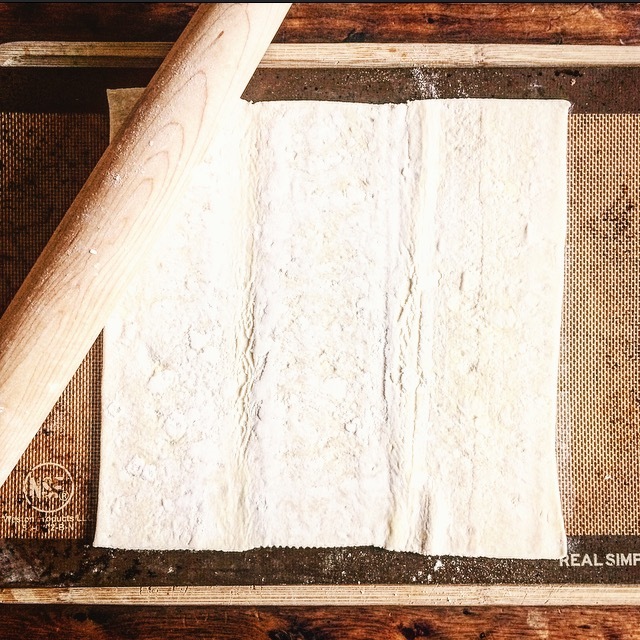 Roll out 1 sheet of puff pastry. 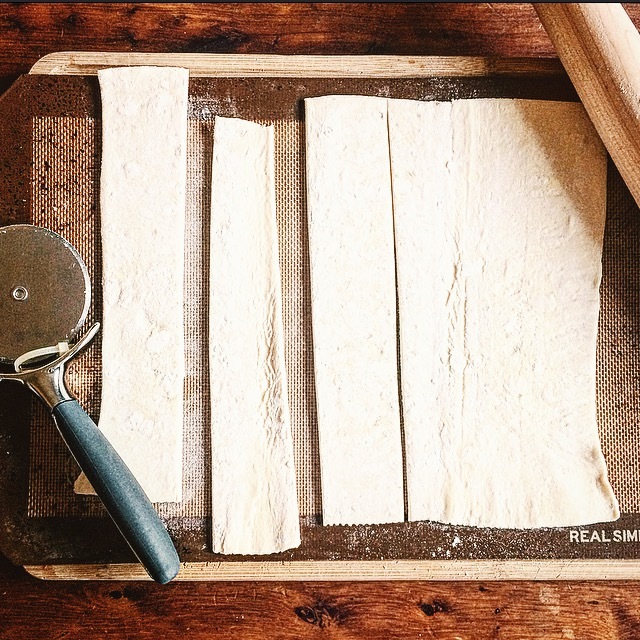 Using a pizza cutter (or a large knife) cut the puff pastry dough width-wise into 2 inch strips. 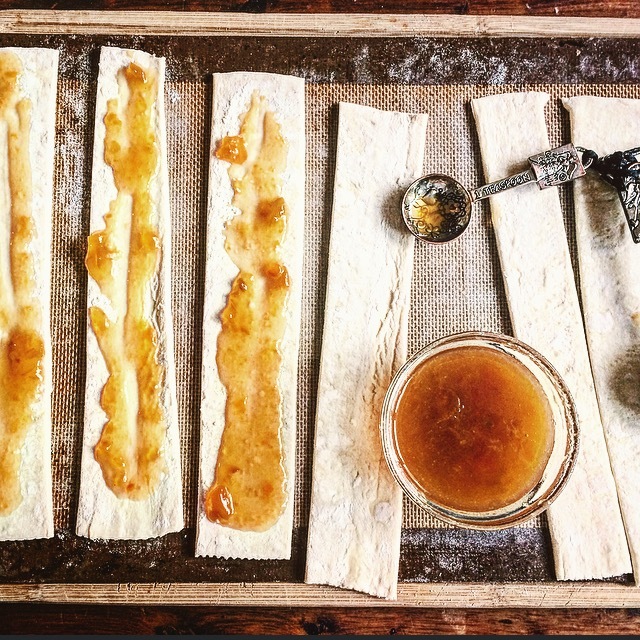 Next, spoon out your apricot preserves onto each strip of pastry. 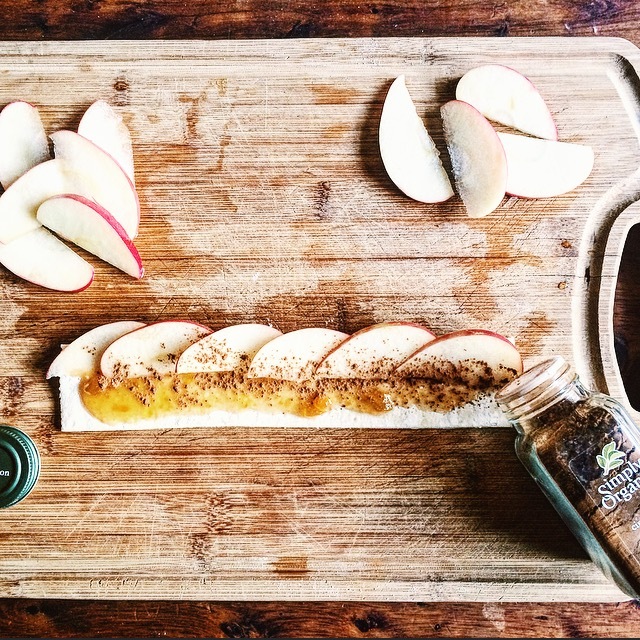 Line your apple slices, overlapping one another, on one side of the strip and top with a sprinkling of cinnamon. Roll up each strip, along with the apples, making sure that everything stays in tact. 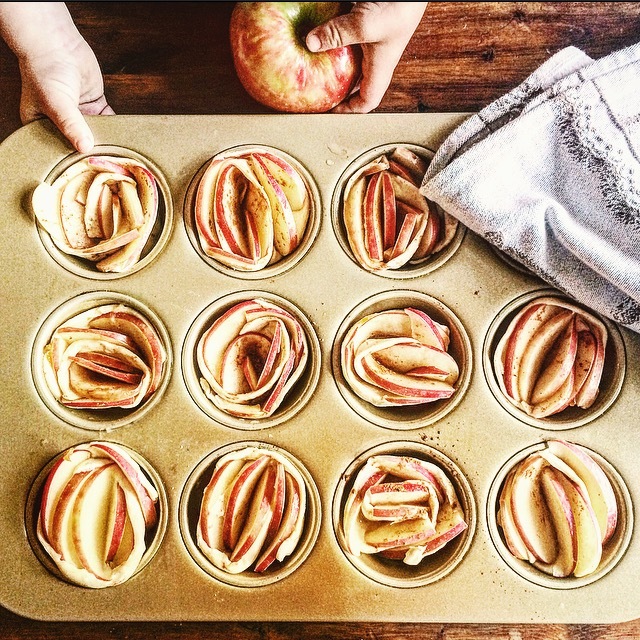 Place each individual apple and puffy pastry strip in a muffin tin. 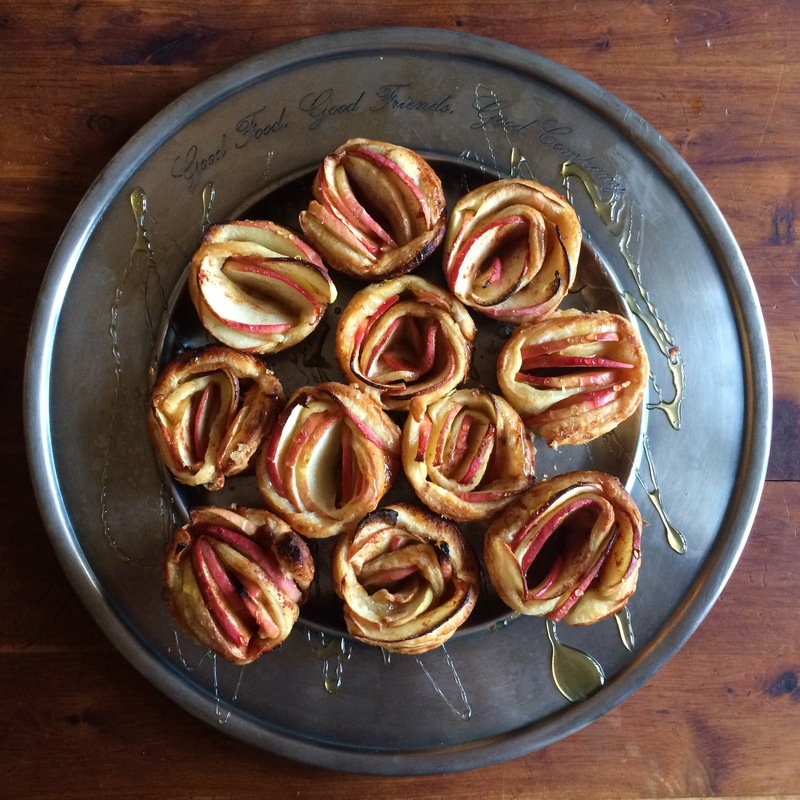 Arrange so that the apple slices resemble roses. Bake at 375*F for 30 minutes or until the puff pastry is golden brown. Finish by drizzling honey across the top. That looks sooooooo delicious. I’m definitely going to try this.